Intel's fastest consumer processor packs a punch. The Core i9-9900K is the fastest consumer processor, beating competing parts in every benchmark. It's also the most expensive consumer processor and requires an aftermarket cooler. The AMD versus Intel CPU wars have been going on for decades. Intel hasn't relinquished the crown for the best consumer processor since it launched the Core 2 Duo line in mid-2006, reclaiming it from AMD's Athlon 64 X2 line, and for nearly a decade after it held a significant performance lead. But that performance always came with a price, both on the processors as well as the motherboards and chipsets. When AMD's Ryzen processors arrived in 2017, they brought much-needed competition to the CPU market, with clear wins in multithreaded benchmarks. Intel's 'enthusiast' parts were still faster, but few users need more than an 8-core processor, and the jump in price for the X99 (and later X299) platform was steep. Intel's response last year was to release its first 6-core parts for the 'mainstream' platform, the Coffee Lake i7-8700K and similar parts. Earlier this year, AMD rolled out updated Ryzen 2nd Gen parts, with improved clockspeeds and performance. If everything had gone to plan, we'd now be looking at the first batch of Intel's 10nm Cannon Lake CPUs. But the difficulties in shrinking microchip manufacturing processes that delayed 14nm have become even more significant at 10nm. Mass production of 10nm from Intel is now slated for mid-2019, but Intel needs something to hold us over until then. That brings us to today's Coffee Lake refresh. There are some tweaks to the underlying architecture, including hardware fixes for the Spectre, Meltdown, and Foreshadow exploits. (Not all the fixes are in hardware, but it's still an improvement relative to the previous Coffee Lake CPUs.) But fundamentally, we're still looking at the same Coffee Lake architecture. To compensate, Intel has made a few other modifications. Yes, this is an actual Coffee Lake refresh wafer. First and most obviously, the 9th Gen Core processors introduce 8-core parts to the mix. Core i9-9900K sits at the top of the stack, with an 8-core/16-thread design thanks to Hyper-Threading. It also comes with a shared 16MB L3 cache, scaling in size directly with the core count. Stepping down is the Core i7-9700K that disables Hyper-Threading, leaving it as an 8-core/8-thread chip. Interestingly, for now at least, there are not any 6-core/12-thread processors in the 9th Gen CPU list. Intel may release those in the future, but we'll have to wait and see. Second, Intel says it has made further optimizations to its 14nm process, dubbing the new variant 14nm++. Broadwell and Skylake used the original 14nm process, while Kaby Lake and Coffee Lake used 14nm+. Intel didn't go into too much detail on what has changed with 14nm++ relative to the existing 14nm+, but Intel says it allows for more cores with similar clock frequencies within the same power envelope. And in terms of specs, the new Core i9-9900K has the same 95W TDP as the previous i7-8700K. More on that in a moment. The third change goes with the second: for the first time since Devil's Canyon (the i7-4790K update to Haswell), Intel is using a solder TIM (Thermal Interface Material) on the 9th Gen CPUs. Previously, Intel used thermal paste between the CPU die and the heatspreader. Switching to solder increases the thermal conductivity and improves heat dissipation, which leads to lower temperatures—or similar temperatures at higher clockspeeds. I've heard 5.2-5.3GHz on all cores of the i9-9900K should be possible with liquid cooling, and some of that, at least, will be thanks to the use of solder. My own results so far haven't been quite that impressive, though 5.0-5.1GHz on all eight cores (with a -2 AVX offset) is decent. I would need a more potent cooling solution to go any further. Let's talk specifications briefly. Above is the specs table for the three 9th Gen Core K-series processors. The Core i9-9900K has a 95W TDP, the same as the 9700K and 9600K, as well as the previous generation 8700K and plenty of other CPUs. It also has a minimum guaranteed clockspeed of 3.6GHz and a maximum single-core clockspeed of 5.0GHz. Intel no longer officially discloses all-core turbo clocks, and I think that's largely because motherboard manufacturers don't fully adhere to the TDP values on enthusiast processors. Here are the various 'stock' core multipliers on MSI's Z390 MEG Godlike board. MSI lets the 9900K hit 5.0GHz on up to 3-core workloads, 4.8GHz for 4-5 core loads, and 4.7GHz for a fully loaded CPU. That's impressive, but in my testing—using an NZXT Kraken X62 cooler—the CPU peaked at 85C with y-cruncher and heavy AVX workloads, and Cinebench 15 multithreaded hits a steady 75C. Performance is great, but the X62 is a beefy cooler, and system power draw from the wall for some workloads exceeded 250W. CPU monitoring tools like MSI Afterburner report a maximum CPU power draw of 150W with Cinebench, and spikes up to 200W with y-cruncher. So much for that 95W TDP. MSI (or Intel) could adhere to a 95W TDP, but it would mean clockspeeds in some workloads would fall much closer to the 3.6GHz base clock that Intel specifies. Intel is basically letting the motherboard manufacturers have free reign when it comes to enthusiast CPUs and multipliers. I like that approach, and Intel isn't alone—AMD's Ryzen 7 2700X can draw close to 150W 'stock' in my X470 testbed. But it's an important point, because you don't want to try running an 8-core/16-thread CPU at 4.7GHz with an AVX workload while using a cooler that's only rated for 95W. You'd probably only get thermal throttling, but it's better to just plan on buying a high-end cooler for the Core i9-9900K. That brings up another distinction between AMD and Intel CPUs. The Ryzen 7 2700X comes with a Wraith Prism cooler and currently sells for $305. Intel provides the same number of cores and threads with the Core i9-9900K, and you get about 20 percent higher clockspeeds (and slightly better instructions per clock, or IPC), but the CPU alone costs $488, and you should plan on at least $50 if not $100 or more for cooling purposes. That's $250 to $300 more in total PC cost in practice… but is it worth the price? That depends a lot on what you're doing on your PC. I've updated a few parts of my testbed, but I'm using the same graphics card. I also retested gaming performance (again) due to changes in drivers, game patches, motherboard firmware, and Windows 10 updates. I'm using the latest Windows 10 October 2018 update, with the latest versions of all the games. I'm running Nvidia's 416.34 drivers, with a GTX 1080 Ti Founders Edition. Due to time constraints, I've cut the number of games tested to ten, and I'm not including any overclocked gaming results. (Spoiler: the i9-9900K doesn't overclock very far beyond the stock settings used on the MSI board with the Kraken X62 and would probably only be 1-2 percent faster at best.) Even with one of the fastest graphics cards available, GPU bottlenecks are still present. This is PC Gamer, so I'll start with gaming performance. Intel has traditionally held the lead in gaming performance, even against AMD's newer Ryzen processors, and the Core i9-9900K continues that trend and extends the lead a bit in a few cases. But really, if you're running a GTX 1080 Ti or faster graphics card, you're probably running games at 1440p or 4k, in which case the differences between the CPUs start to become largely meaningless. Still, in theoretical gaming performance, the Core i9-9900K is about five percent faster than Core i7-8700K, and 15 percent faster than Ryzen 7 2700X. Looking at the individual gaming results, about half of the games show a negligible change in performance. Ashes of the Singularity, Deus Ex Mankind Divided, Shadow of War, and Rise of the Tomb Raider are within three percent of the 8700K. Assassin's Creed Origins, Civilization VI, Far Cry 5, Grand Theft Auto 5, Hitman, and The Witcher 3 all show more than a 5 percent improvement in performance (with Civ5 being the only >10 percent change). Does it really matter? In general, no. A Core i5-8400 is still normally within 10 percent of the i9-9900K in average gaming performance, and that's when running settings that are more likely to emphasize differences between the CPUs. A faster GPU like an RTX 2080 Ti would increase the separation a bit at 1080p, but that's clearly a graphics card intended for 1440p and higher resolutions, which would shrink the gap. If you already have a 6-core AMD or Intel processor, you're still fine on gaming performance. But what about other workloads? Switching to multithreaded application benchmarks, Core i9-9900K bares its teeth and gives no quarter. The Core i7-8700K came up short in a number of tests compared to the Ryzen 7 2700X, but the i9-9900K gets a clean sweep. It's anywhere from 14 percent faster for Cinebench multithreaded, to around 50 percent faster in H.265 encoding, AVX optimized workloads, and demanding encryption schemes. I've created two aggregate charts to give the big picture on CPU performance. The first, shown by default, is for multithreaded CPU scaling. This chart is the geometric mean (equal weighting to each result) of the Cinebench nT, H.264, H.265, VeraCrypt, and y-cruncher scores. The second chart looks at the full spectrum of CPU performance. It includes all the individual CPU tests, like Cinebench 1T and 7-zip, plus the Civilization VI AI benchmark, average gaming performance, and average minimum gaming performance. Looking at multithreaded benchmarks, Core i9-9900K is 38 percent faster than the Core i7-8700K and 30 percent faster than Ryzen 7 2700X. It's also 31 percent slower than the Core i9-7980XE, but at one third the price that's probably a fair compromise. In overall performance, it rates about 25 percent faster than both the i7-8700K and Ryzen 7 2700X, and thanks to a clean sweep of the gaming results it's only 17 percent slower than the i9-7980XE. I haven't talked much about the change in platform, mostly because it's not really a factor. I tested the Core i9-9900K on both Z390 and Z370, and performance was basically identical. If you're building a new PC from scratch, Z390 only adds a couple of minor improvements over Z370, specifically integrated USB 3.1 Gen2 10Gbps support and integrated Intel Wireless-AC. Both are nice additions, but I'd really have preferred something a bit more substantial—like an upgraded link between the chipset and processor that doubled the bandwidth of the DMI 3.0 connection. That didn't happen, and PCIe Gen3 remains the standard for now, for better or worse. The good news is that anyone with an existing 300-series motherboard should theoretically be able to upgrade to the Core i9-9900K. All the Z370 boards should have the necessary firmware updates, and probably plenty of H370 boards as well. I'm not so sure of H310 boards, as I doubt most can provide the necessary power—or they could run the CPU at far more conservative clocks and respect the 95W TDP, but where's the fun in that? The power and thermal aspects of Core i9-9900K show the limits of Intel's current 14nm process technology, or 14nm++ if you prefer. Yes, the 9900K can run at similar clockspeeds to the 8700K and it adds two more CPU cores, but power use does go up. Make sure you bring along a decent cooler, and don't expect a lot of overclocking headroom. I was able to clock all eight cores at 5.1GHz, with only 0.05V extra, but that's only a 400MHz improvement and CPU temperatures were breaking 90C. AVX workloads had to have an offset applied as well—4.9GHz (a 200MHz increase over 'stock') with AVX hit similarly high temperatures. 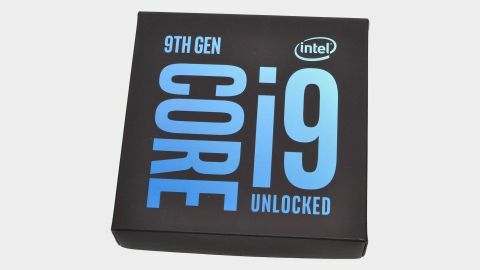 As a value proposition, Core i9-9900K isn't very exciting. Intel has typically charged more for the performance advantage it offers—or sometimes doesn't offer, like back in the Pentium 4 days—and this is no exception. It might be 25 percent faster than the Ryzen 7 2700X, but it's nearly twice the cost once you factor in a good cooler. However, for a complete PC like my testbeds (using a few more reasonable component choices, like only a 500GB SSD), the cost will be around $1,800 vs. $1,500 with an GTX 1080 Ti, or $1,500 vs. $1,200 with a GTX 1070. So you pay more and get proportionately more with a full PC, and at least you won't have to upgrade your CPU again any time soon. In the end, the Core i9-9900K is the new champion of the consumer CPU world. It won't take down the many-core monsters like Threadripper or the Core i9-7980XE in multithreaded workloads, but for gaming and general use it's more than enough. In fact, it's probably more CPU than most people need. It can handle everything from gaming to livestreaming to video editing and more. If you didn't bite on a Ryzen 7 or Core i7-8700K during the past year, there's not enough to make this a 'must have' upgrade. But if you're building a new high-end PC any time in the next six to twelve months, this is the CPU I'd want to put in it.